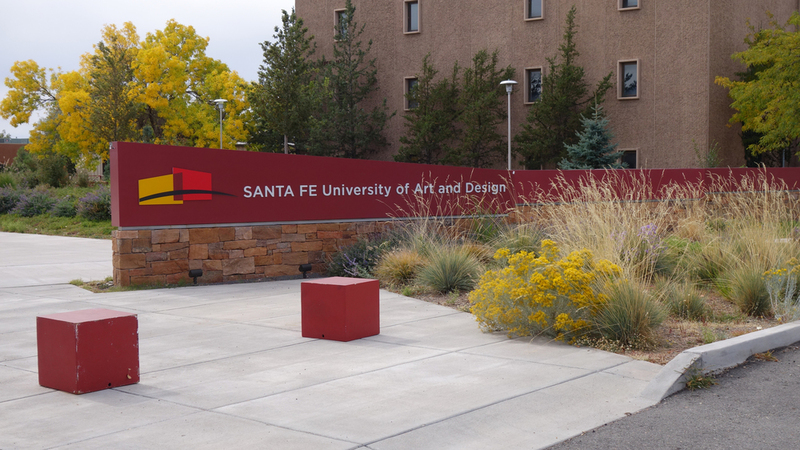 Laureate Education needed to reenergize and upgrade its recently acquired campus, Santa Fe University of Art and Design (formerly College of Santa Fe), in Santa Fe, New Mexico. The existing campus had years of deferred site upgrades that needed to be prioritized and reorganized. Surroundings was hired to assist in developing a practical, overall conceptual framework for future site improvements. The Campus Master Plan evaluated and developed strategies for land use, circulation, wayfinding, art display, landscape management and site design guidelines for architecture and landscape. Concepts for a central landscape mall to unite the disparate parts of the campus were designed in a way to allow implementation in small increments. The first implementation was campus signage and wayfinding improvements at the St. Michael’s entrance to the campus and infill of pedestrian system gaps to address fundamental needs for safe accessible routes across the site. Surroundings has completed projects at the student quad, the administration building, and the west mall entry.